The candle problem or candle task, also known as Duncker’s candle problem, is a cognitive performance test, measuring the influence of functional fixedness on a participant’s problem solving capabilities. The test was created by Gestalt psychologist Karl Duncker and published posthumously in 1945. The test presents the participant with the following task: how to fix a lit candle on a wall (a cork board) in a way so the candle wax won’t drip onto the table below. Many people on their initial go will say that they would try and pin the candle to the board or light the candle and carefully let the melted wax drip down the side so that you could adhere it to the board. 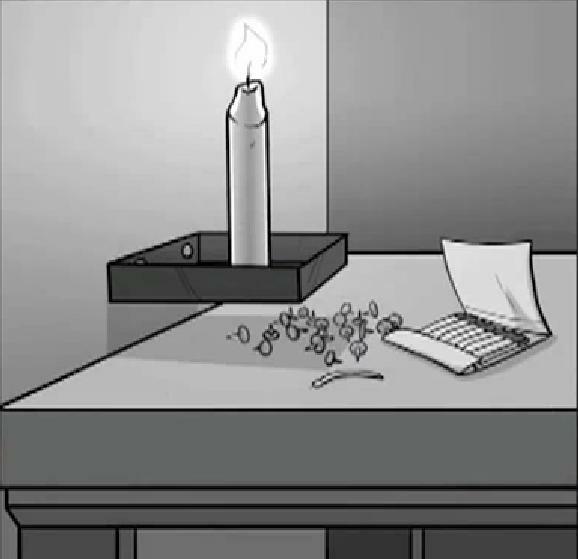 In a classic experiment demonstrating functional fixedness, Duncker gave participants a candle, a box of thumbtacks, and a book of matches, and asked them to attach the candle to the wall so that it did not drip onto the table below. Duncker found that participants tried to attach the candle directly to the wall with the tacks, or to glue it to the wall by melting it. Very few of them thought of using the inside of the box as a candle-holder and tacking this to the wall. In Duncker’s terms the participants were “fixated” on the box’s normal function of holding thumbtacks and could not re-conceptualize it in a manner that allowed them to solve the problem. For instance, participants presented with an empty tack box were two times more likely to solve the problem than those presented with the tack box used as a container (Adamson 1952). What is your business doing and more importantly what are your staff and their departments doing that demonstrates functional fixedness and how could you try and overcome it? The new apprentice who has only ever known how to communicate using social networks is unable to influence the social media strategy. Check in with your team to see if you have similar areas of functional fixedness. You may even find as a result there are new ways to reduce costs and even better, find new ways to generate revenue.